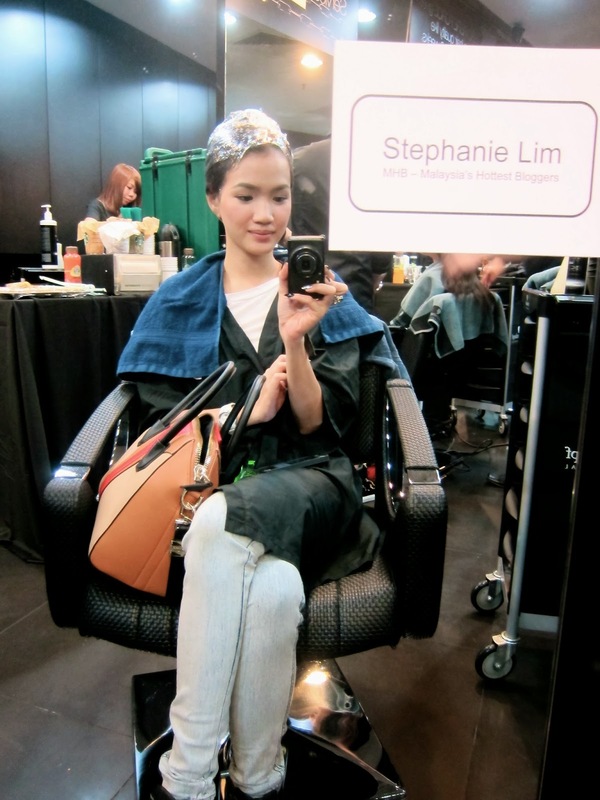 Stephanie Lim: Schwarzkopf Professional BC Fibre Force ♡ extra TLC for your hair! I get asked a lot about my hair, probably cause it's quite long and shiny. But many do not know the time, effort and money invested to maintain this mane of mine. It is definitely not an easy task! Plus I use to dye my hair every 2 months ; like I'll go for a crazy colour then tone it down and then switch it up again. After a period of time I just got really lazy of changing colours every couple of months that I just settled with this dark burgundy colour. Nevetheless my hair has been through tons of damage from all the colouring, straightening, curling and so on. When I heard about the Schwarzkopf Professional BC Fibre Force I was stoked! I couldn't wait to give these products a try as I would really really do anything to keep my hair healthy. & lately it's been pretty bad as the last colour I did was totally damaging. So I got to Monsoon ID at One Utama for the launch, and was seated comfortably at my booth. My assigned stylist was going through my hair and categorized it as 'highly-damaged', I seriously felt a stab to my heart. My hair has lost is luster ever since the last dye. Nevertheless a happy face as there might still be a chance of saving it! Lots of yummy snacks next to me to enjoy while my hair gets treated and salvaged haha. Love how the saloon was super comfy with it's dark interiors and floor-ceiling mirrors! Monsoon ID provide customized service to each customer. Each individual is unique and require a specialized treatment that cater to their specific condition, In 2009, Medi Scalp and Hair Spa launched its first customisation service to meet a new standard – Made to measure hair and scalp treatments that suit the customer’s needs in one session . Today, Monsoon Group Holdings Pte Ltd is parent to Monsoon, Storm, Sandstorm, Monsoon ID and Twister, each targeting a specific group of customers. 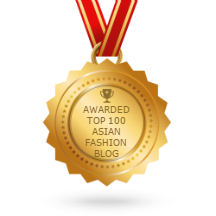 The groups popularity is undoubtedly spread across all parts of Singapore and Asia with Monsoon’s widely anticipated annual hair-show drawing in a significant number of audiences among those in the trade from all over the world. 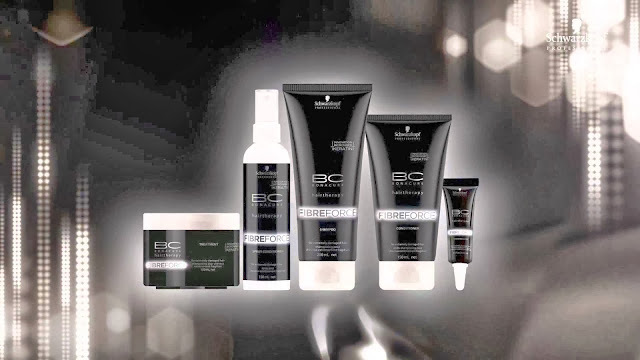 Schwarzkopf Professional BC Fiber Force contains formulas with hair-identical keratin that will penetrate deeply into the hair to restrengthen it, giving hair like mine a second chance! This is achievable because the keratin will penetrate into the gaps in the cell membrane complex, reconstructing damaged eroded hair from the inside and re-cement it. This intensive care nourishes your hair back to life by giving it a 100% more strength and up to 95% less hair breakage! For best results, use these products for 4-10 weeks! According to my stylist, you can start feeling your hair getting heavy, meaning the keratin is being absorbed into your hair after a few weeks. My stylist applied the treatment throughout my hair, section by section, making sure every strand is covered. Though these products are available for home users, I totally recommend to get it done in a saloon whenever possible for optimum results! After covering every section, my hair is wrapped up to keep the moisture in while allowing the hair to absorb all the keratin. 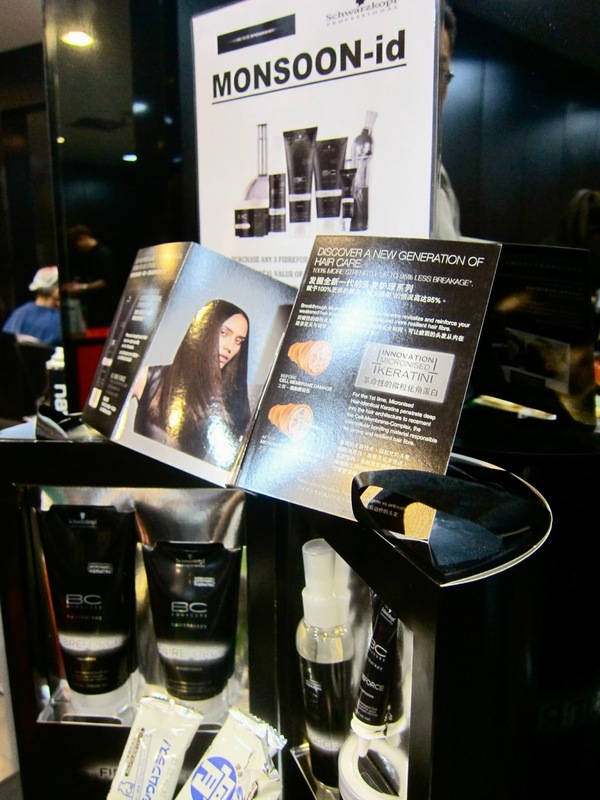 As mine was categorized as highly-damaged, my stylist applied the BC Fibre Force Micro Infusion (salon-exclusive treatment reconstructs deeply damaged and eroded hair immediately by filling the gaps in the cell-membrane complex with highest concentration of 10,000 ppm keratin elixir. The hair becomes elastic and feels healthy and bouncy) too. After washing the product out and blow drying my hair, my stylist gave me some curls! My hair was feeling so bouncy and most importantly LIVELY after the treatment. I was definitely super happy with the results even after ONE session! Thanks to the awesome people at Monsoon ID and Schwarzkopf for giving me the opportunity to try this amazing hair care and also bringing these products home to upkeep my hair and nourish it back to life! 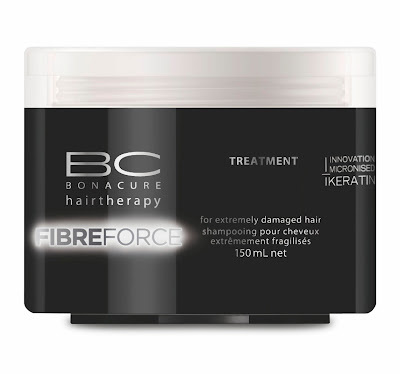 BC Fibre Force Fortifying Treatment: fills the hair from the inside and strengthens it. It penetrates deep into the architecture of the hair and regenerates the inner hair structure. BC Fibre Force Spray Conditioner: detangles very damaged hair and eroded hair and refills it with keratin. The inner structure of the hair is improved and the hair's surface is sealed. BC Fibre Force Shampoo: cleanses the hair gently and conditions even fine hair deeply without weighing it down. 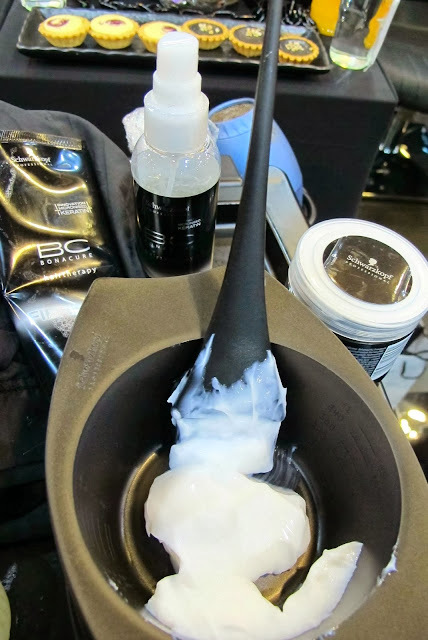 BC Fibre Force Conditioner: restores the hair architecture from the insides and restores the moisture balance and seals the hair's surface. Each of the products above cost RM56.00, affordable if you ask me! 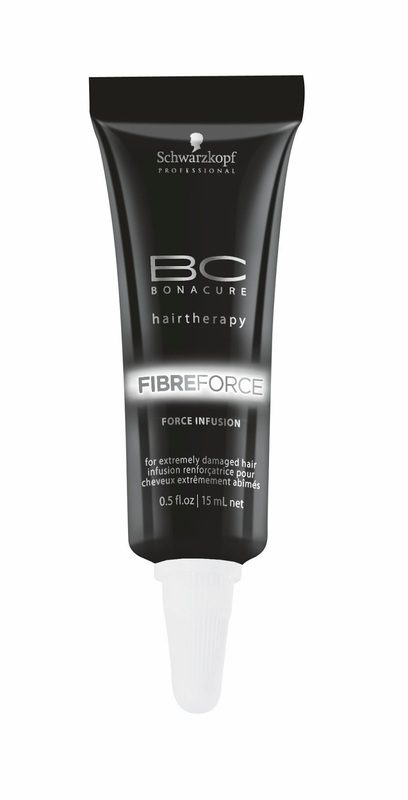 BC FIBRE FORCE MICRO INFUSION (This service is only available in salons and price may vary from salon to salon) – This salon-exclusive treatment reconstructs deeply damaged and eroded hair immediately by filling the gaps in the cell-membrane complex with highest concentration of 10,000 ppm keratin elixir. The hair becomes more elastic and feels healthy and bouncy. Now everyone can have REINFORCED, REVIVED, REBORN hair!